(February 3, 2019) One of the most pleasing developments in R&B music has been the rediscovery of the ballad. And a good love song will definitely come in handy in about two weeks, when Valentine’s Day arrives on the calendar. Jazzy D, the London born producer who now makes his home in Perth, Australia, will be dropping a straight up quiet storm slow jam on Feb. 14. That cut, “After All,” features the deep as midnight baritone of vocalist Jay Nemor. Nemor played pro basketball in the United States and overseas, and it was when his hoops career took him to Europe that Nemor’s interest and love in music blossomed. Nemor taught himself how to play the keyboards and he also wrote songs. He eventually formed a duet with called Kenya and Nemor, and Nemor also worked with groups such as Soul Basement. 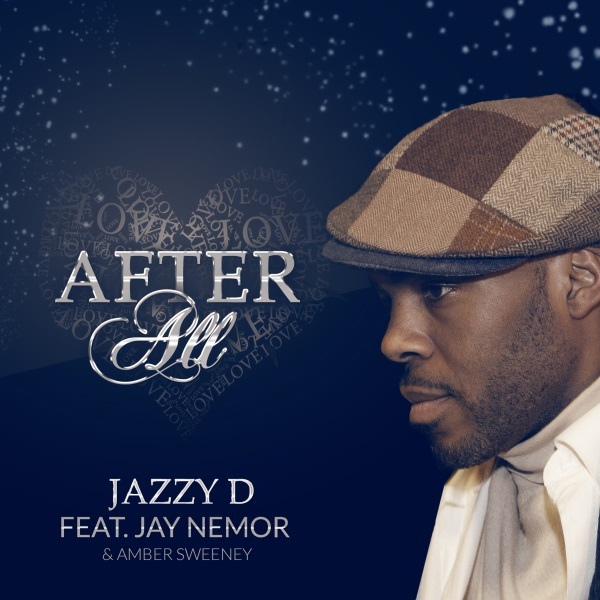 “After All” is a track that showcases Nemor’s range as a singer, along with the ease with which he share’s the mic as a duet partner, as the tune also features the improvised vocals of Amber Sweeney (who also co-wrote the song), another one of Jazzy D’s regular collaborators. “After All” has a classic sound that fuses Nemor’s R&B oriented vocals with an arrangement that features jazz influenced piano and saxophone work. Check it out here.